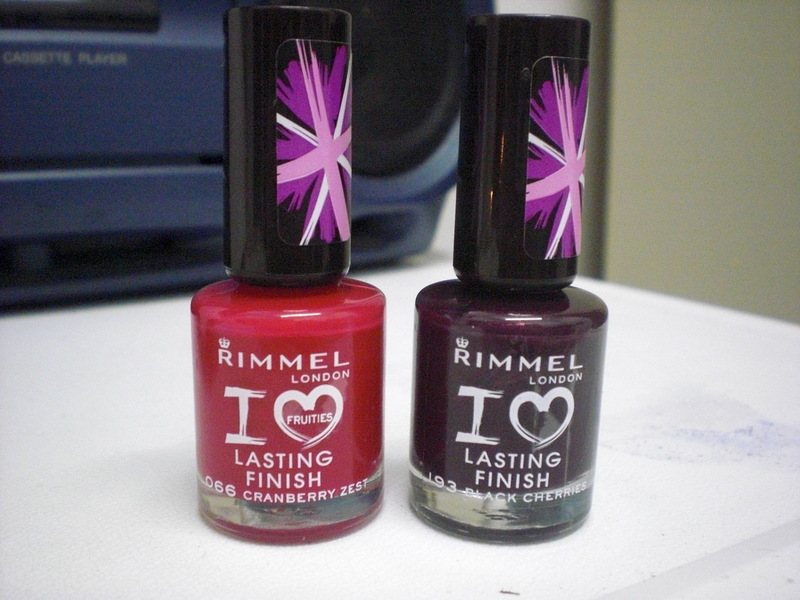 A while ago I read on many beauty blogs that Rimmel would be releasing some new polishes in funky colors. I finally found them in my local drug store and brought home two of the polishes. This is my review of these polishes and a quick nail of the day/ week. In the picture above you see the two beauties I brought home. On the left is cranberry zest and on the right we have black cherries. Cranberry zest is more of a bright raspberry pink color than a cranberry, but that is just a side note. What makes this color unique is the fact that it’s a scented nail polish. Yes people: once it dries you smell something sweet, sort of like those chewy fruity candies (fruitella) with strawberry/ raspberry flavor. 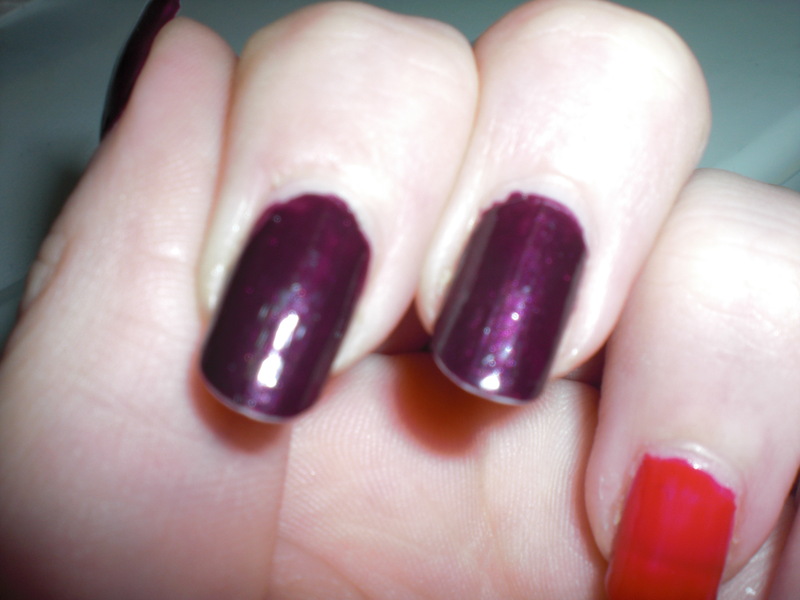 Black cherries is a very dark purple with a very subtle shimmer to it. Perfect for fall. 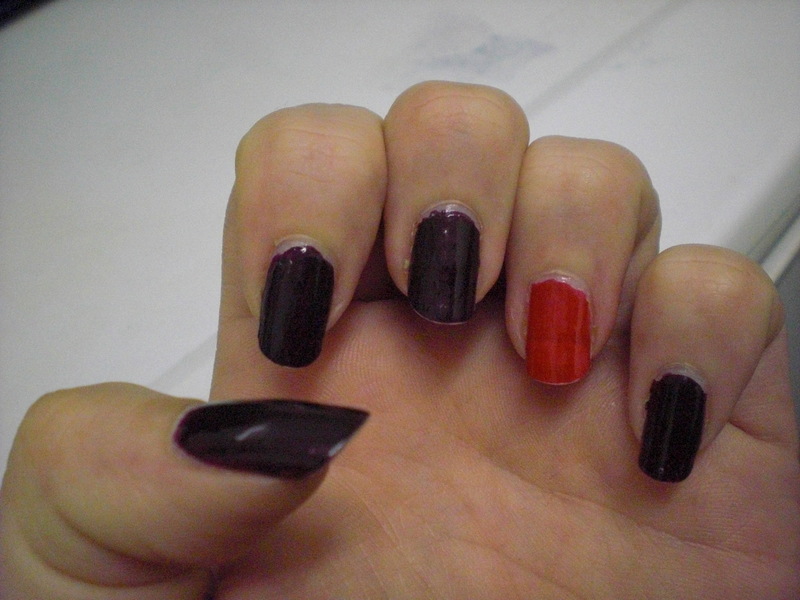 And this is what it looks like on my nails. 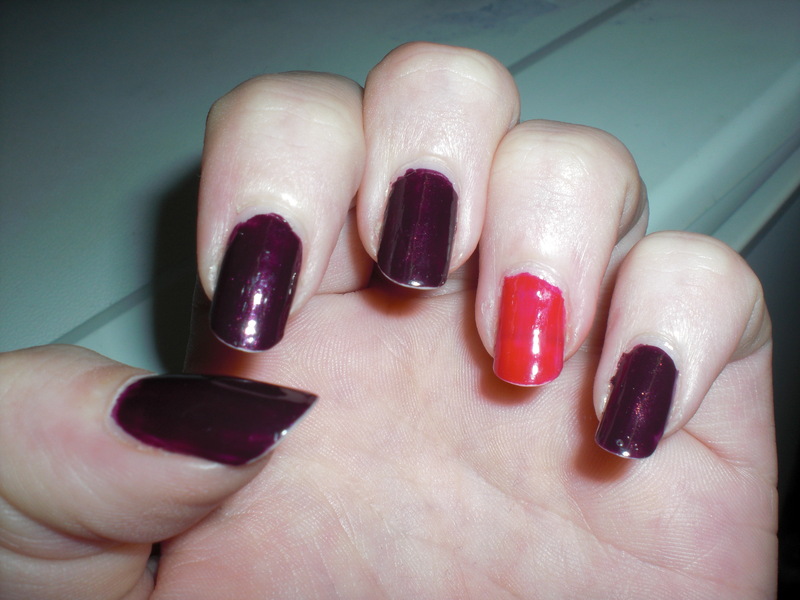 As you can see black cherries covers very opaquely, while cranberry zest is a bit more sheer. I used to coats for both. I didn’t like the texture of black cherries: it was very thick and didn’t go on very smoothly. 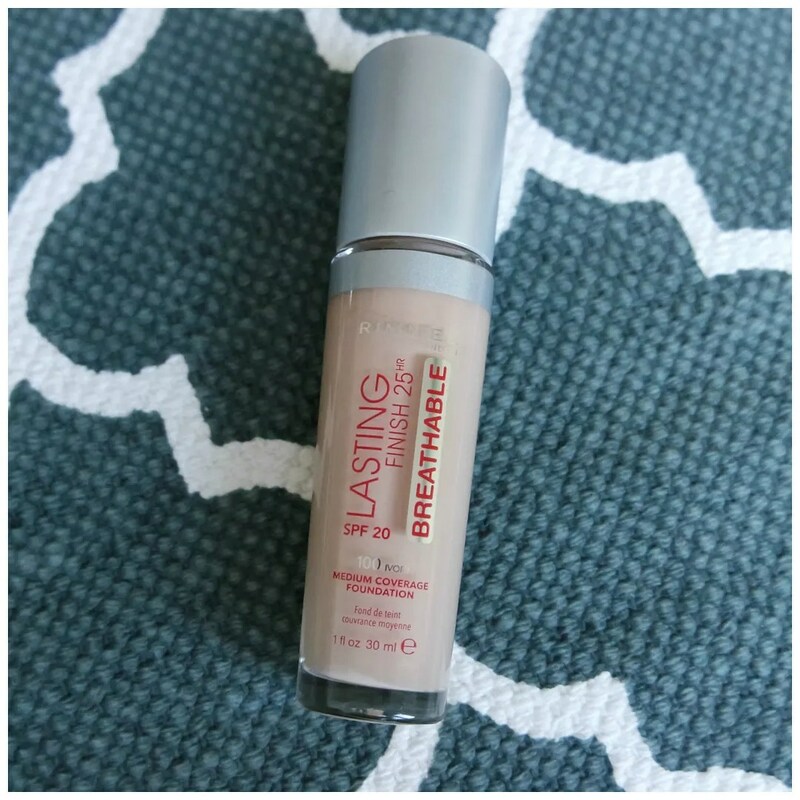 Cranberry zest has a thinner formula that went on smoothly and didn’t cause any streaking. I also like this color best on my nails: black cherries is so dark that you don’t really see the shimmer due to my light skin tone. When I held it up in sunlight this afternoon, you could actually see it, but I think that also has to do with my top coat. To show you that it actually does have shimmer, I also took some pictures with my flash on. Especially in the picture above you can see the very subtle effect. There is definitely more to this color than just a deep purple, but on my nails you can only see this when exposed to bright lights. Needless to say, my favorite of the two is the Cranberry zest one. It goes on smoothly and show up nicely. Black cherries has a thicker formula and against my pale skin the color doesn’t come out as nicely. It was worth the buy though: these retail for only 4.99 a pop and there is a great range of colors to choose from. There are more scented ones (they are called Fruities and it’s on the bottle) and many other colors to choose from including a glittery top coat called disco ball and some great bright colors that will brighten up any nail polish look. 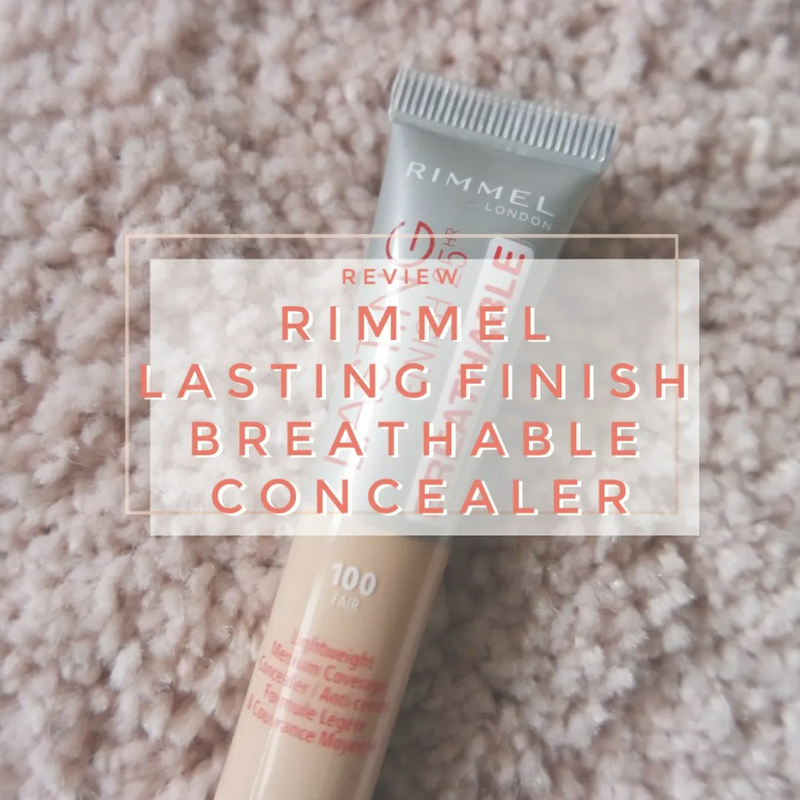 Q: Have you tried the new Rimmel polishes yet?